As one of our customers you get access to our online quoting and ordering system. You can customise this with your own logo. You can also set it up so it only shows you your retail prices at your specified mark up. By customising our quoting and ordering system it allows you to use it with your customers as your own website. 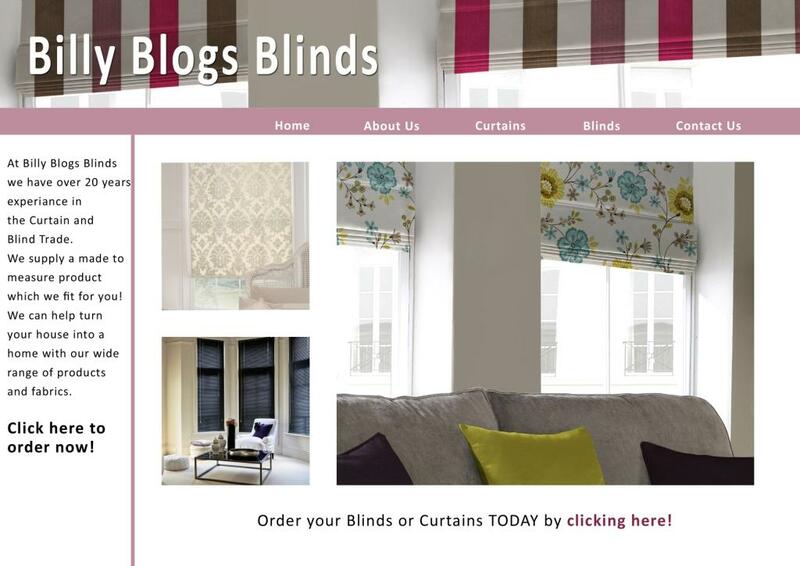 You can even add a link from your website to ours so your customers can place their own orders and buy curtains and blinds online creating extra sales for you. For us to set this up for you we need you to send us a logo at 62 pixels x 200 pixels. Please click on our mock up website to see how this could work for you.